masala hash | eating with S.O.L.E. Toss with a good glug of oil and a heart tbsp of garam masala along with a good amount of sea salt. Roast until tender and golden brown. 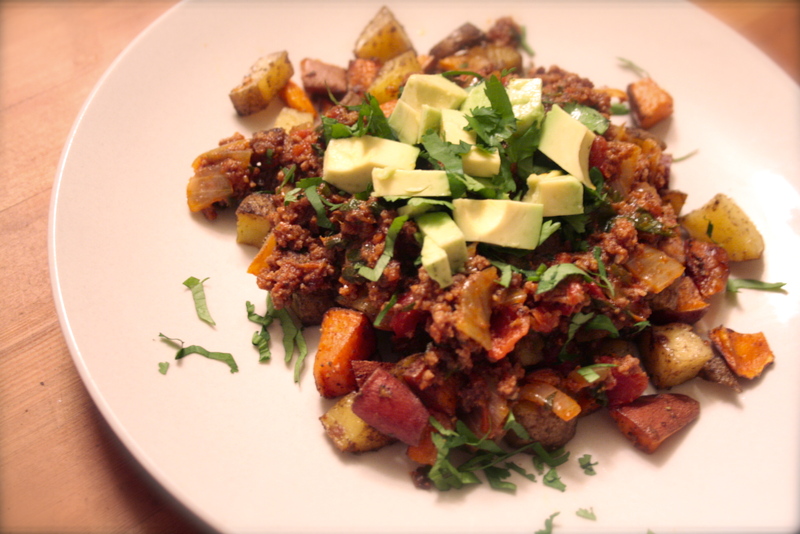 Serve the meat over the roasted potatoes and garnish with a handful of chopped cilantro and some tiny avocado cubes. I’ve been needing some inspiration the last few weeks, this is on the menu for my week! YUM! I think some spicy zin will go good with this too!